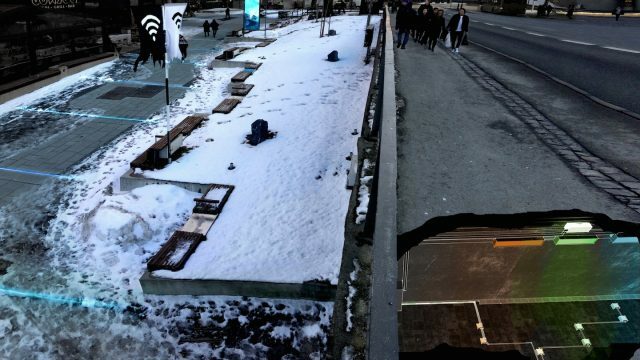 Adressaparken wins first place in the SXSW Place by Design competition, which took place as part of the inaugural Cities Summit. Place by Design, presented by the Walton Family Foundation, is a public space design competition that celebrates the intersection of art, technology, and design that rethinks how we use, vision and interact with the places around us. For the 2018 competition six finalists, including artists, architects, designers and urbanists, were selected to pitch their work in the fast-paced event. The 2018 competition was emceed by Katherine Darnstadt, the founder of Latent Design, an architecture firm focused on social, economic and environmental impact beyond the building to create more sustainable communities. Judges included Creative Director of Creative Industries, Many Cezanne Charles, Burning Man Director of Art and Civic Engagement, Kim Cook, and Walton Family Foundation Home Region Director, Karen Minkel. Check out #CitiesAtSXSW on social media to check out some of the conversations from this week’s SXSW Cities Summit. From Norway and designed by Wendy Ann Mansilla and Andrew Perkis, Adressaparken is an open place to play, explore, wonder, experience and relax. All visitors should be surprised and excited, through both experiences and participation with contents and activities based on technology, media and art. Adressaparken invokes the idea of a multiuse playspace.